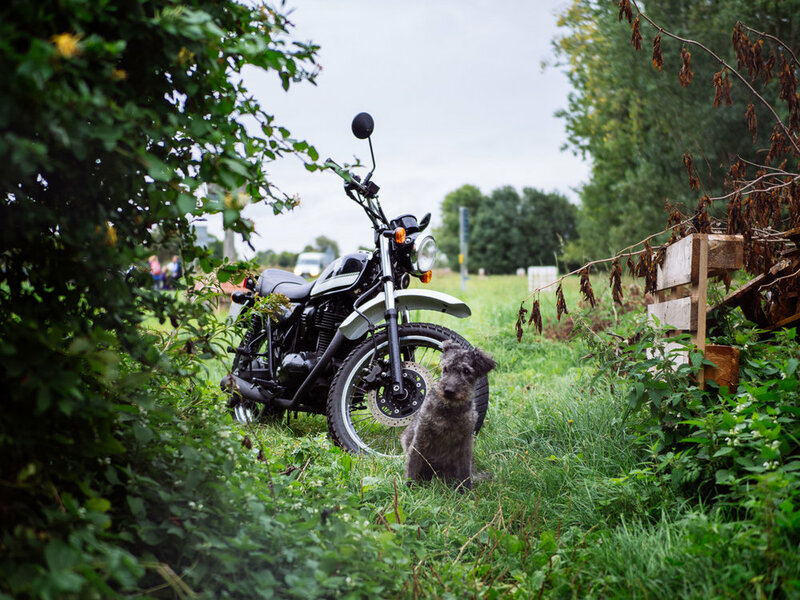 Riding a motorbike is incredibly thrilling for many reasons, but what makes it most so, is that while on one, you are immersed in your surroundings and connected - to yourself, to the machine and to the road. Riding is a meditation. So much of modern life is constructed to keep us out of our environments, disconnected from them, or each other. “Safe”. This is an antidote to that. On September 11th 2017, photographer and writer Gabrielle Motola took an unusual travel route from her former home in London to her newly adopted home in Reykjavik, Iceland. Since 2013 she had flown back and forth between the two countries and wanted to experience the transition of the lands in between in real time. She flew to London and bought a Kawasaki TR250 shed seen for sale on a friend's instagram account. The motorcycle was made for riding around dirt tracks. It was admittedly on the small side for such a journey so she'd have to avoid highways and take the scenic route, however, it would be perfect for Iceland. Her journey began in East London. 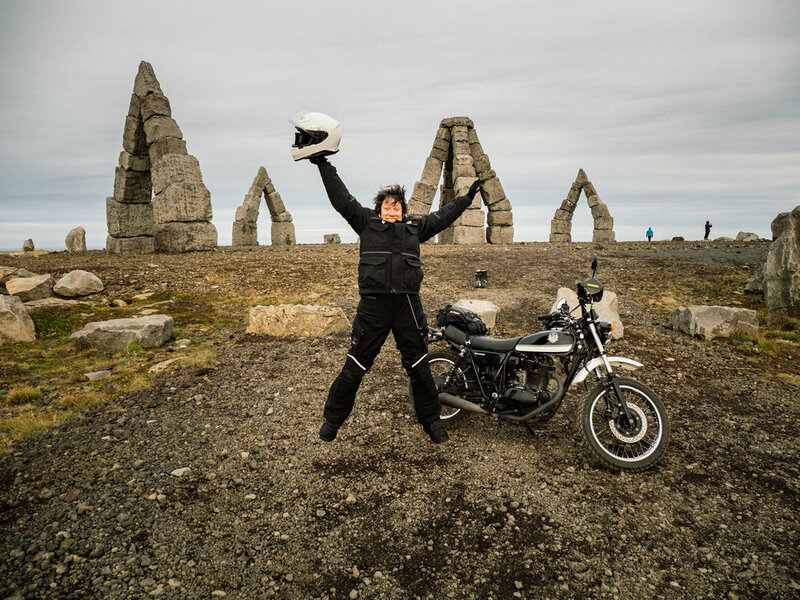 The route took her to France, across Europe, to the Faroe Islands on a ferry, then an onward sail to Iceland and Arctic Henge. She then drove via the North coast to her home in Reykjavik. Along the journey, she met up with motorcycle crews in and out of garages, intellectuals, radiologists, members of the Danish bomb squad, composers, flat track racers, movers, shakers, and farmers, as she chased the last of the Autumn light across the vast open landscapes of Europe and Scandinavia. On more than one occasion she thought she was going to meet her end or severely injure herself. She got stranded in the Faroes due to high winds but was rescued by the local Harley dealership, caught strep throat, nearly ran out of gas in the wilds of North East Iceland, got very seasick, went flat tracking in Sweden, and explored what people in Europe and Scandinavia were feeling in the wake of this past year's elections, while Germany prepared for theirs. Riding a motorcycle long distances is in itself, a meditation. The vulnerability one feels on a motorcycle brings an awareness of the self, of the changes in surroundings, as well as the cultures and mindsets of people. By the time she finally arrived in Reykjavik on October 9th, the night Iceland qualified for the World Cup, she was 6 kilos lighter but infinitely more full of life than she had been when she departed. Unlike the vast leaps air travel affords, riding provided much-needed processing time on a human scale, at a human pace. The motorcycle is a Kawasaki TR250. Being small, she is not well suited to highways, so I took the scenic route. There was the occasional mad-dash across one to catch a ferry with the poor bike choked on full throttle. However, once arriving in Iceland, the bike hit her stride. She is a flat tracker and was made for riding on dirt. Gabrielle studied psychology, motion pictures and photography at the University of Miami and Spéos Institute of Photography. She is a multi-national, multi-linguist, photographer, author, speaker, and Olympus Mentor. Sh is currently based in Iceland where many people do many things well, and no one bats an eyelash. We are capable of more than we think, it is possibly first a matter of thinking it can be so. While Stonehenge remains a mystery, the history of Arctic Henge is well documented. Before the crash of the great herring adventure in 1967, Raufarhöfn, the northernmost town in Iceland, was Iceland's most active shipping port. Following the crash, the town fell into bankruptcy and disrepair after many people abandoned it. Thanks to the vision of a passionate resident who was in fact not born there, but rather moved into the town as a child, construction of Arctic Henge began in 2005. 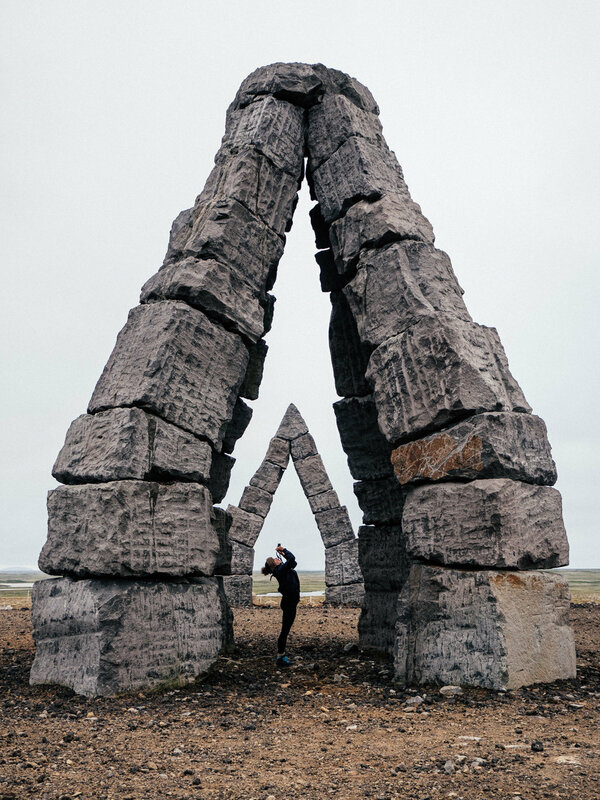 Along with the hopes of attracting tourists and other visitors to the town, Arctic Henge will function as a place of ceremony for locals. It is non denomination specific, all people are welcome, though it has been inspired by pagan design. Built high on a hill, Arctic Henge offers a clear 360 degree view of the land. I'm told the Northern Lights are more visible there than anywhere else in Iceland, and that although winters there are the darkest, on a clear day, the town is lit by starlight.